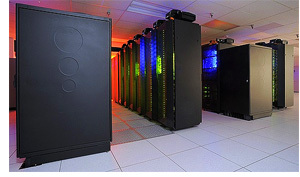 The Level-1 and Atmosphere Archive & Distribution System (LAADS) Distributed Active Archive Center (DAAC), located in the Goddard Space Flight Center in Greenbelt, Maryland, is one of twelve NASA EOSDIS DAACs, whose discipline domain is atmospheric science. The LAADS DAAC serves the global NASA Terra and Aqua Moderate Resolution Imaging Spectroradiometer (MODIS), as well as other instruments. It should be noted that LAADS web site searches are limited to 2000 files; so you may need to limit the time period or spatial coordinates to complete a search successfully. If you don't want to limit either field, you can go directly to the LAADS FTP site (also linked below) to download data. For the Continuity Atmosphere Site, the directories use the new Continuity naming convention: AERDB, CLDMSK, and CLDPROP. For the MODIS Standard Atmosphere Site, directories that start with "MOD" are for Terra MODIS data; the directories that start with "MYD" are for Aqua MODIS data. The directories that start with "MOB" or "MYB" contain Terra or Aqua browse images. One may view older archived Collections (004, 005, 051), where a golden month of September 2002 (2002 244) was retained, by backing up one directory then re-selecting the Collection number. For all questions and/or problems related to ordering MODIS data from LAADS, email MODAPS User Support at MODAPSUSO@lists.nasa.gov or call 1-800-596-8132 (toll-free US).